At the center of each tooth is a hollow area that houses soft tissue, known as pulp. This pulp chamber is connected to the tip of the root via thin, hollow, pipe-like canals, your root canals. Teeth normally have one to four root canals “feeding” each tooth, with the teeth toward the back of the mouth having the most. Root canals run through the centre of the roots like a pencil lead runs through the length of a pencil. Root canals are filled with pulp, a highly vascularized, loose connective tissue. This tissue sometimes becomes infected and inflamed, generally due to damage from decay or fractures that allow bacteria from the mouth to access the pulp chamber and eventually the root canals. In order to save the tooth, this infected tissue must be removed by a surgical intervention known as endodontic therapy, or root canal therapy. Endodontic therapy is a multi-step treatment to preserve an infected tooth by first removing infected material and subsequently protecting the tooth from future infection. Although this set of procedures is commonly referred to as a root canal, this term is often misused; root canals are the anatomical hollows within a tooth which are naturally inhabited by pulp. Root Canal Therapy is the precise terminology for the treatment of infection in the root canals. If you have a tooth that your dentist considers to be threatened by infection (because of decay, cracking, etc. ), or is considered likely to become infected in the future, a pulpectomy (removal of the pulp tissue) is advisable to prevent complete loss of the tooth. To prevent, or cure an infection and save the tooth, your dentist will access the pulp chamber through the top of the tooth and remove the affected pulp by scraping it out of the root canals. Your dentist will then fill the chamber and canals with a sterile material and seal up the tooth. This procedure is known as root canal therapy. If a significant amount of the tooth has been damaged or removed as a result of the treatment, a crown may be required to stabilize the tooth. What’s So Bad About Root Canal Therapy? Historically, root canal therapy was one of the most feared procedures in all of dentistry. Ask people in the know, and they’ll tell you that’s no longer the case. The modern root canal therapy procedure is relatively painless itself, thanks to advances in pain control with local anesthetic. It is the infection and swelling leading up to the procedure that is reported to be the most uncomfortable. Once the issue has been diagnosed, your dentist can take measures to reduce pain and swelling, and control the infection with antibiotics, prior to the procedure. If you notice a tooth has become sensitive or painful, if you have suffered an oral trauma, or broken a tooth, see us as soon as possible. The sooner you are seen by the dentist, the greater chance your tooth can be saved with the least amount of intervention. 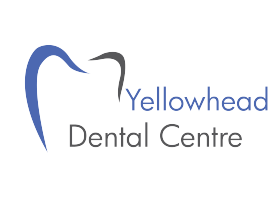 Give the friendly staff at Edson’s Yellowhead Dental Centre a call today, we can help you get timely treatment for all your dental needs.